Decide which team is going to take the lead on creating the blog post. Will both teams contribute equally? Will one team do it all themselves? Every partnership is different. Each company has resources and skill sets they can bring to the table. Establish right off the bat which company or team(s) will lead the definition and creation of the content, as well as make edits and do the final review. This typically depends on which company has resources, bandwidth, and more experience with blog post creation but is a critical step in the process. Keep the goal of your blog post in mind. When you are writing a blog post with or for a partner, it must be done with a goal in mind. The purpose of your post could really be anything — for example, you could promote a joint event, announce a new partnership, announce the release of a new product, highlight shared values or founder stories, illuminate the importance of your similar product certifications or attributes, or even share a recipe or use case for using your complementary products. For example, if you are announcing an event, the goal of your post might be to attract event attendees and therefore gain publicity and promote your brand. Having a clear goal in mind will help define the topic of the blog post. As you can see in this post, Parsnip member Dang and The Bowery partner to reach both of their unique audiences and use healthy eating habits as a topic to help spread their messages to new, and engaged audiences. In this case, it’s about how to pick the right produce for those trying to get into healthy eating. Keep your audience in mind. Once you’ve determined your goal, you can decide who your target audience is. Who do you want to send a message to? Who do you hope reads your post? It is important for the intended audience(s) to be well defined and understood by all parties involved. Keep the length of your post in mind. Your target audience should help you determine how long your blog post should be. If it’s intended to be a quick read (about 1-2 minutes), shoot for 200-300 words. Should the post be targeted toward a more engaged audience, you should shoot for 600-900 words, or a 5-7 minute read. No one wants to read a blog post that rambles, so do your best to keep it concise! What’s the angle of your blog post? When you partner with another brand on a blog post there is going to be an intriguing story to tell. 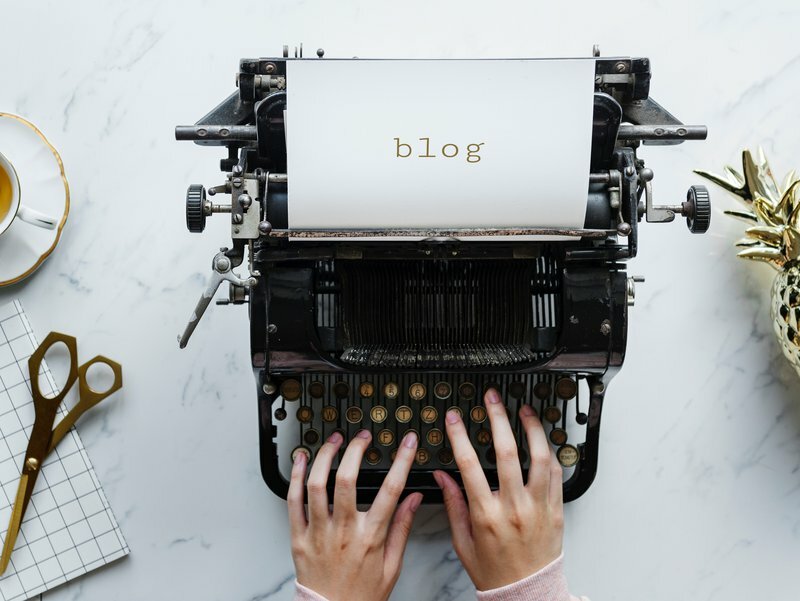 There is a reason why you have partnered with another company to produce this blog post — this is your time to tell that story in a compelling way. 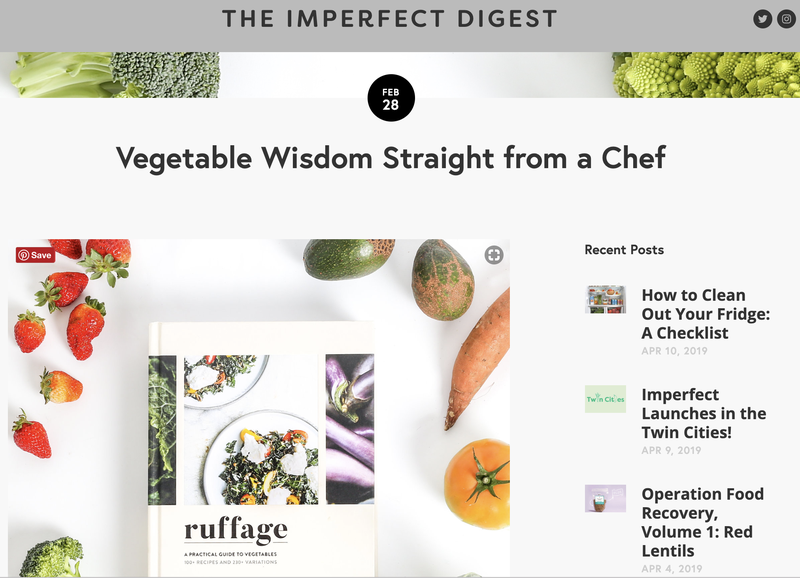 In this post from Parsnip member Imperfect Produce, they leverage the wisdom of a chef, in this case Abra Berens, to show off tips and tricks that help their audience. Specifically on how to use imperfect produce and make it taste and look like a 5-star meal. Additionally, this is used to cross-promote Berens’ cookbook Ruffage: A Practical Guide to Vegetables. Decide on a publishing date. It is important for a date to be defined early on so that both companies can effectively prepare for launch. Often times a publishing date will be defined by an event or a partnership announcement — if that’s not the case, just make sure both parties are on the same page about the publishing date so you can push it out to your audience(s) effectively. How will you promote your blog post? Once your launch date is finalized, both teams should coordinate on a promotional strategy. Promotional strategy could include a social media push, email campaign, and/or event. Your blog post should be cross-promoted by both companies as it will likely increase the impact of the release. For instance Parsnip member Rhythm Superfoods employs Mary Ellen Phipps as a contributing writer from Milk & Honey Nutrition and their post was announced on both their own social media pages, getting their post to new audiences across a variety of mediums. Get your blog post approved by all stakeholders involved. Making sure both teams have their input on your blog post is a must. Ultimately, if a company is taking the lead, they will generally have final say of creative decisions. However, when both teams are actively involved compromises may need to be made. Keep SEO at the forefront of your mind. When in the process of creating blog content, keeping search engine optimization (SEO) at the forefront of your mind at all times. SEO makes your post more ‘searchable’ on the internet — if you want people to find your post, make sure you are selecting keywords to utilize throughout your post. More info on that here. There you have it! For inspiration, see our blog at Parsnip here!